The following is an except from an article that originally appeared on Martin Fowler's website. 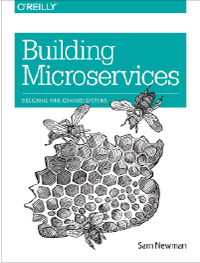 "Microservices" - yet another new term on the crowded streets of software architecture. Although our natural inclination is to pass such things by with a contemptuous glance, this bit of terminology describes a style of software systems that we are finding more and more appealing. We've seen many projects use this style in the last few years, and results so far have been positive, so much so that for many of our colleagues this is becoming the default style for building enterprise applications. Sadly, however, there's not much information that outlines what the microservice style is and how to do it. In short, the microservice architectural style is an approach to developing a single application as a suite of small services, each running in its own process and communicating with lightweight mechanisms, often an HTTP resource API. These services are built around business capabilities and independently deployable by fully automated deployment machinery. 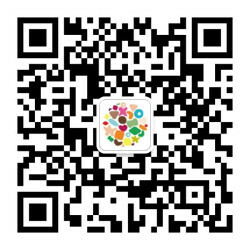 There is a bare mininum of centralized management of these services, which may be written in different programming languages and use different data storage technologies. Such a monolithic server is a natural way to approach building such a system. All your logic for handling a request runs in a single process, allowing you to use the basic features of your language to divide up the application into classes, functions, and namespaces. With some care, you can run and test the application on a developer's laptop, and use a deployment pipeline to ensure that changes are properly tested and deployed into production. You can horizontally scale the monolith by running many instances behind a load-balancer. These frustrations have led to the microservice architectural style: building applications as suites of services. As well as the fact that services are independently deployable and scalable, each service also provides a firm module boundary, even allowing for different services to be written in different programming languages. They can also be managed by different teams. James and Martin’s article goes on to define what a microservice architecture is by laying out 9 common characteristics, discussing its relationship with Service-Oriented Architecture, and considering whether this style is the future of enterprise software. Read it here: martinfowler.com/articles/microservices.html. Watch James' recent talk in London on Microservices. James Lewis is a Principal Consultant at ThoughtWorks and member of the Technology Advisory Board. James' interest in building applications out of small collaborating services stems from a background in integrating enterprise systems at scale. He's built a number of systems using microservices and has been an active participant in the growing community for a couple of years. Martin Fowler is an author, speaker, and general loud-mouth on software development. He's long been puzzled by the problem of how componentize software systems, having heard more vague claims than he's happy with. He hopes that microservices will live up to the early promise its advocates have found.